While blueberries can be purchased year-round at your nearby Foodtown grocery store, there’s nothing better than when they’re in season! Offering an extra dose of flavor, seasonal blueberries are packed with sweetness and are even more affordable—especially when accompanied by our Club Card savings! Though blueberries are a staple for so many households, they are backed by some very surprising tidbits that make them all the more appealing. Check out these facts about blueberries and stock up at Foodtown! Have you ever wondered where blueberries grow? Foodtown grocery stores aren’t far from their home, with New York and New Jersey being two of the top blueberry producers in the nation! That means shoppers always have access to fresh and local blueberries in the summer months. Blueberries are one of the only naturally blue foods and were often used as a dye by early American colonists. Today, some use blueberries for natural Easter egg dyes or as a natural dye (and flavor addition) for frosting. Fresh blueberries display a pale, waxy coating on their skin called the “bloom”. The bloom serves as a natural barrier, protecting the berry from bacteria and helping to maintain moisture. Though it is safe to eat, you should always wash blueberries—but only just before eating to prevent spoilage! The color of blueberries’ skin comes from the presence of anthocyanins, a family of antioxidants that is thought to assist in reducing the risk of cancer. Not only are blueberries a sweet treat for humans—pets can enjoy them too! The occasional fresh blueberry makes an excellent low-calorie treat for both dogs and cats. Blueberries are great for fruit-loving diabetics, as they boast a low glycemic index and are packed with vitamins and fiber. The size of the berry can indicate how they are best served. For instance, large blueberries are best when eaten fresh and smaller sized blueberries are ideal for use in cooking or baking. 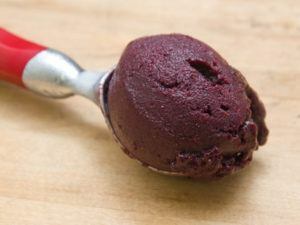 Puree blueberries and ginger in a food processor until smooth. There may be some natural bits of skin and seeds—this adds great texture! Add sugar and blend for about 30 seconds. Add lemon juice and salt, and pulse quickly to incorporate. Strain the puree into a bowl, cover with plastic wrap, and chill in the refrigerator for about 2 to 3 hours. Churn the mixture in an ice cream maker according to the manufacturer’s instruction and transfer to the freezer to firm up. 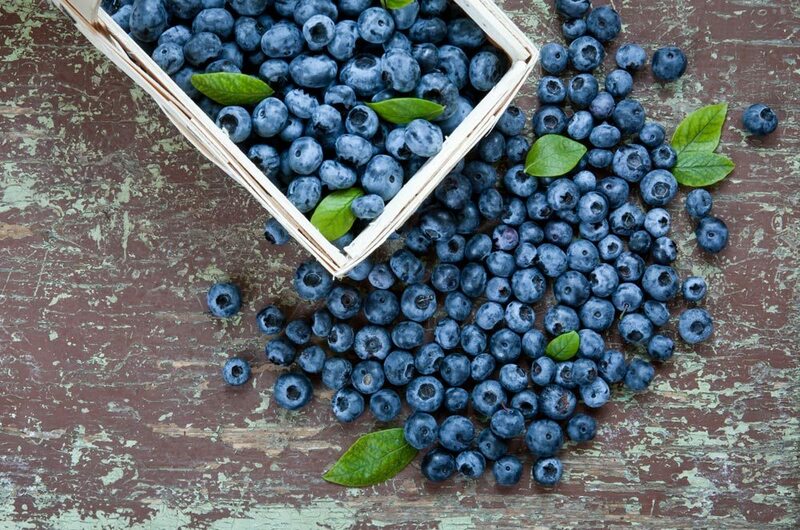 Intrigued by these surprising facts about blueberries? Visit your nearest Foodtown grocery store to stock up on this flavor-packed berry. We’re pleased to keep our produce department stocked with plenty of seasonal fruits and vegetables, as well as local produce when we can! Locate a Foodtown supermarket nearest you and take advantage of the ongoing savings found in our Weekly Circular. Strapped for time? Find a Foodtown On the Go provider for in-store pickup or home delivery!